AX Care encompasses two models of care such as independent living where residents over 55 can enjoy a relaxed retirement at Hilltop Gardens and a top facility care home Simblija where residents can receive tailor made assistance according to their needs. Hilltop Gardens offers the possibility to enjoy the best years of your life in a luxurious setting having access to range of facilities and amenities with 24 hour care if required. 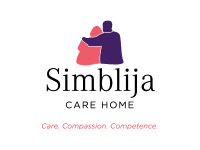 Simblija Care Home is a licensed residential care home which caters for medium to high dependency patients as well as residents requiring respite care. Revive Physiotherapy & Aquatic Centre offers a state of the art physiotherapy clinic with a built to measure physiotherapy gym, individual treatment rooms, latest therapeutic equipment and with access to our own hydrotherapy pool. A clinic within Hilltop Gardens combines quality with professionalism and the best medical and surgical expertise, for the benefit of anyone looking for a health related service.